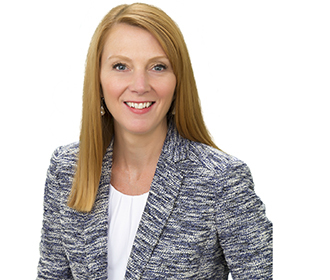 Shannon Angielski provides clients with a wide range of regulatory and policy advice on energy and environmental policy issues and advises clients on the development of energy and environmental technology projects. Through her representations, Shannon engages Congress, the presidential administration, state and local agencies, industry partners, coalitions, trade associations, and non-governmental entities in crafting creative solutions and promoting federal policies and initiatives on behalf of her clients. As the coordinator of the firm’s Federal Funding practice, Shannon has substantial experience in the design and advocacy of federal funding programs before both Congress and the federal agencies, helps clients secure grant funding as well as other types of federal support and assistance, advises clients in applying for federal grant and tax funding opportunities, and oversees the negotiation and implementation of funding instruments with federal agencies. As Executive Director of the Carbon Utilization Research Council (CURC), Shannon develops and supports coalition initiatives and designs legislative proposals for clean energy and climate change policies and programs that support continued coal use. Through this representation, Shannon has significant experience in developing policies to support the development and deployment of carbon capture and storage technologies. Through representation of the Coal Utilization Research Council, participated in the design and advocacy of billions in tax credits for advanced coal technology projects and strategically advances annual appropriations for coal technology and CCS research and development funding. Advises clients in successfully obtaining multi million dollar federal grants for advanced energy technology projects. As coordinator of the firm’s federal funding practice, coordinated the development of a new firm model for clients to partner with the federal government, and represent clients under this new model in their efforts to secure federal funding for the development and deployment of new energy technologies. Advocated for the authorization and appropriation of a new federal energy technology program and helped client to successfully compete for a $30 million federal grant under the program. Working with client to develop responsible international financing policies for overseas energy technology projects. Panel Moderator, "International Collaboration on Fossil Fueled CCS Projects"
Panelist, "Clean Coal Energy Policies and Technologies"
Speaker, "Carbon Capture & Storage"
Presenter, "The Role for Coal Research in Today's and Tomorrow's Electric Generation Environment"
Moderator, "Keynote Panel: EPA Rules"
Panelist, "Innovation and Future Opportunities"